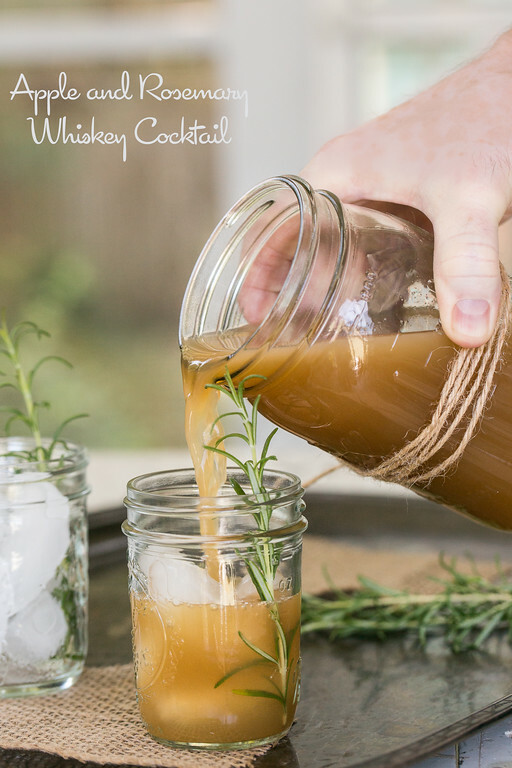 Sweet apple, piney rosemary, and earthy whiskey combine for this hint of fall cocktail, Apple and Rosemary Whiskey Cocktail. This blog is no longer active, all new cocktails and some of the old are at my other blog, Sidewalk Shoes. You can find this Apple Rosemary Whiskey Cocktail there. Now this is a great way to start off the weekend, and my rosemary plant is looking nervous! I’m more of a wine gal myself, but this sounds tempting! Thanks so much for sharing at the Let’s Get Real Link Up! I like this it is so different! I made this today and it is spectacular! Used honeycrisp apple cider and budget-friendly Canadian whiskey. It will be a great addition to our family Thanksgiving coming up next month. So glad you liked it! I loved it too! What a great cocktail! I love the idea of a rosemary simple syrup! I’ve got some herbs growing indoors right now and rosemary is the one doing the best. 🙂 I need to remember to link up with your Tipsy Tuesday next week! Yes, please do link up! And do try the simple syrup – so easy and so good! This looks SO fantastic – makes me want some fall weather here in New York! I love anything with rosemary – this cocktail looks delicious for fall! I definitely want to give this a try! What a lovely, warming cocktail, Pam. I love the Rosemary Simple Syrup as well. Pinning. Thank you so much for sharing, and for your support of the Hearth and Soul Link Party. Have a lovely weekend!